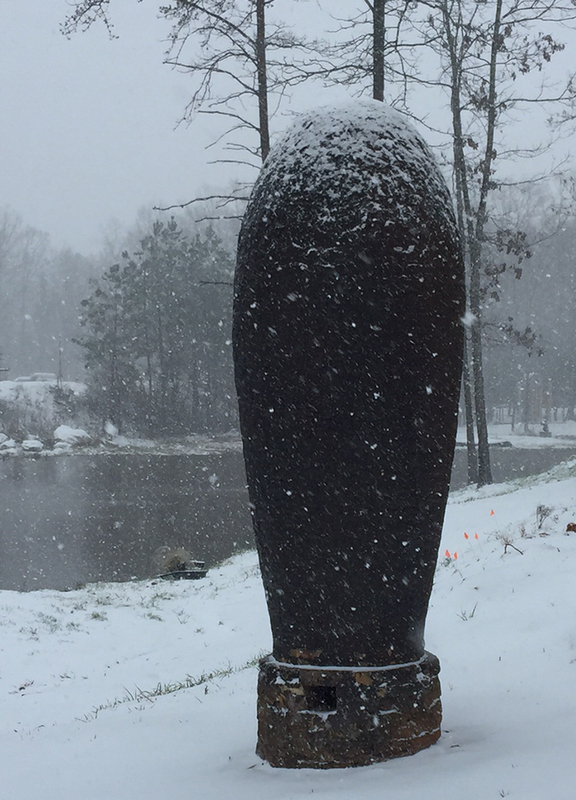 Here is a beautiful shot of Daniel Johnston's clay sculpture, "Vessel". Daniel spent over 3 weeks making locally dug clay bricks and building the sculpture onsite. It was fired during the Tri-State Sculpture Conference in October. It's textural surface must be seen up close to appreciate.